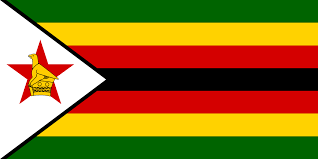 Government says the recently launched Zimbabwe Motor Industry Development Policy (ZMIDP) will result in the creation of 20 000 jobs in the sector and downstream industries, driven by a rise in capacity utilisation. ZMIDP was launched a fortnight ago and once fully implemented, it is expected to see the sector ramping up capacity from the current levels of under 10 percent to full capacity by 2030. The policy is anchored on six key strategies, which are control on second-hand vehicle imports, categorisation and regulation of the motor industry, development of motor industry value chain and clusters, assembly of semi-knocked down (SKD) and completely knocked down (CKD) kits, and Government support. ZMIDP runs from this year to 2030, with a provision for a mid-term review after the first five years. President Mnangagwa intends to transform Zimbabwe into a middle income country by 2030. Government will support local car assemblers through legislation and increasing duty and surtax on imported second-hand cars as part of measures to control their importation and pull the local motor industry out of the doldrums.